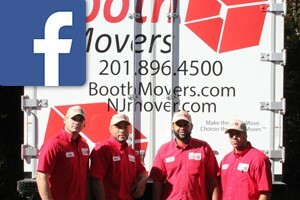 Booth Movers, Ltd. was established in the early 1940’s by William Booth, a prominent figure in the moving business throughout Hudson and Bergen Counties, New Jersey. Throughout the 50’s and 60’s, his business grew and flourished, establishing Booth Movers as one of the most trusted names among Bergen County movers. In 1978, Douglas Padla took charge of the company and has continued to grow its legacy ever since. Booth Movers has earned its reputation as a professional New Jersey moving company, and our award-winning business is licensed by the New Jersey Department of Law and Public Safety, the Division of Consumer Affairs, and the Office of Consumer Protection. Mr. Padla has continued to remain an active member in the moving and storage industry, and he has served as the President and Chairman of the Board of the New Jersey Warehousemen and Movers Association (Circle of Excellence) and The NJ Movers Tariff Bureau. Exceptional customer care and quality moving and storage solutions are the cornerstones of our New Jersey moving company. To find out more about the services that we offer, give us a call or fill out our online form to request a free, in-home estimate!